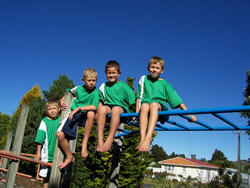 The Owhango School is a modern school in an idyllic rural environment. 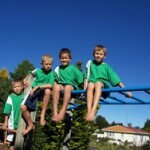 Located in the Owhango Village, Owhango School is on one of the most attractive sites in the Taumarunui district. The original school was built in 1910 although the current buildings date back from about 1970. A quality primary education for children is delivered through a partnership of mutual respect, between education professionals and BOT in consultation with students, parents and the wider school community. Owhango School is the central pivot point of the wider community. The students benefit greatly from regular input from a wide range of “Friends of the School” in various supportive roles. This community truly believes and puts into practise the old adage..
“The most important thing that you can give a child is your time”.